AMES — Lou Ayeni rubbed his eyes, then grabbed his phone. 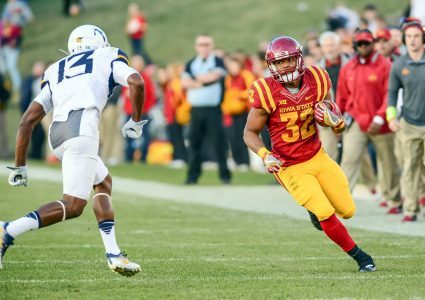 David Montgomery needed some tech help. Don’t sleep on Montgomery — or anyone else in a room brimming with talented runners, pass catchers, and blockers. Much has changed since Ayeni joined the program in 2014. His former head coach, Matt Campbell, joined him in Ames a season ago — along with several other former cohorts from Toledo. The best part about the changes? Front and center in that good “rat” category stands Montgomery, who averaged 5.2 yards per carry as a true freshman. Still, Campbell and company took notice. Good luck. Montgomery has late-night, hard-working company. 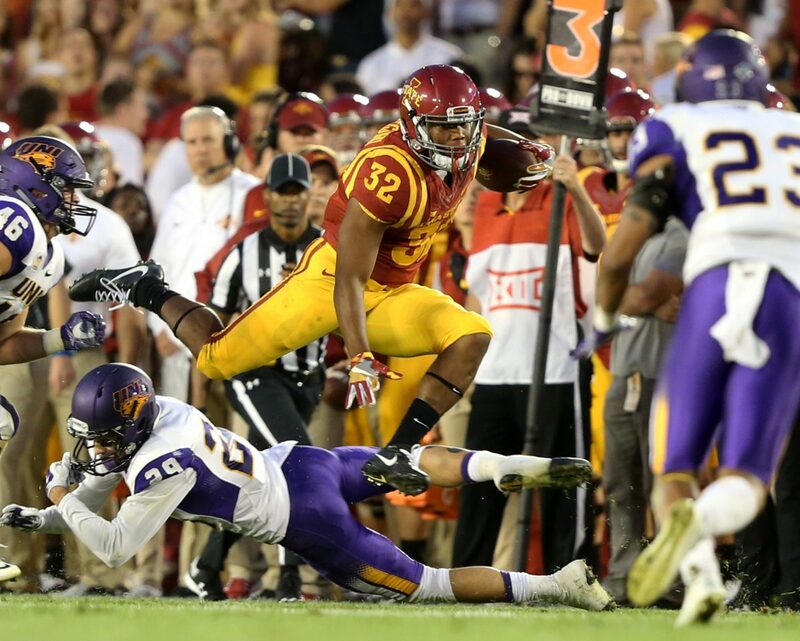 Former 1,000-yard rusher Mike Warren put on 10 pounds of muscle in the offseason. He said he ran the fastest 40-yard dash on the team this summer — but didn’t want to divulge the time. That’s OK. He’s bonded deeply with Montgomery, even though he displaced him as the No. 1 back. Montgomery, a sophomore, looks up to Warren, a junior. 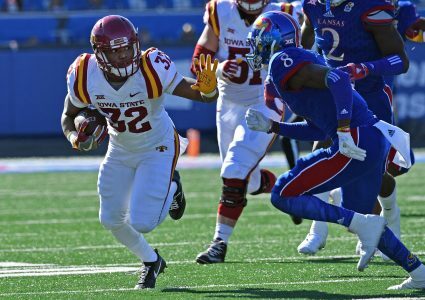 It’s a unique friendship and helps unite a deep ISU backfield that also features dynamic freshman Johnnie Lang and steadily-improving sophomore Sheldon Croney. Montgomery, Ayeni said, is “the bell cow” of the group. Campbell said his pass catching skills are elite, too — as are his work (if not sleep) habits. “I just want to win,” Montgoner said. “I want to make the team better,” he added. As for the 2 a.m. call? It’s not an outlier. That, in turn, fuels others engaged in the same pursuit of excellence.